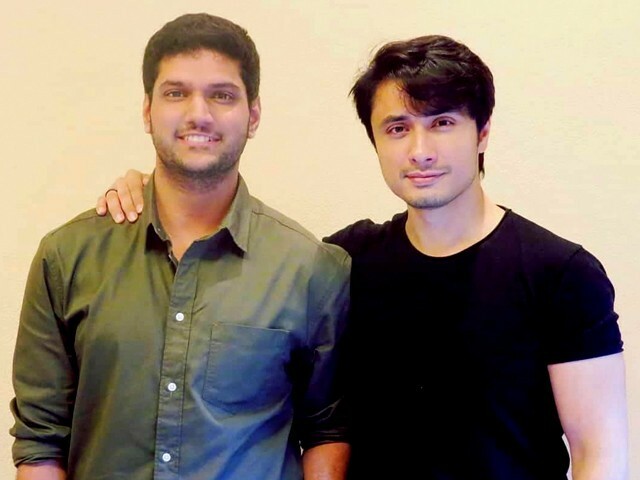 A global superstar at the moment, Ali Zafar is a man of all seasons. Not only is he multifaceted, having achieved success as a musician and an actor, but he also puts his heart and soul into everything he does. He has now made an incredibly successful Lollywood debut as well, as the producer and lead actor in this year’s Teefa in Trouble. In an exclusive interview, I learnt about Zafar’s current projects, Bollywood and marriage. You started singing at a very young age and have since established yourself as one of the leading contemporary singers in South Asia. What challenges did you have to put up with in a developing industry back then? That is a good question. Every era and phase that you go through in life has its own challenges. I needed a channel to air my music video if I wanted to put my work out there for people to see. Back then, there were only two channels; for instance if a music video aired on Indus channel, everybody would get to watch it. I had to make a video of a certain broadcast quality and standard that could compete with the rest. I remember when I was trying to get into the music scene, there were some really good music videos being made and the pop era was flourishing nicely. There was Abrarul Haq, Noori, Junoon, Fuzon, Jawad Ahmad and many other great artists. As a kid I thought, how could I make my mark? The challenge was to make a music video of that standard and before that, a song. I did not have money to record a song or to make a quality music video. I worked for three to four years at a hotel lobby and collected money by making portraits of people. Eventually, I had enough to be able to record my own song in the studio, but that was a struggle too. I approached many directors for the video, and ultimately Ahsan Rahim agreed to make Channo and the journey continued from there. You are perhaps the first Pakistani to make his Bollywood debut in 2010. In Pakistan, there is a social stigma that you betray your country if you work in a different industry. How would you respond? Why is there a need to respond? If it is someone’s belief, let it be. You should work based on your own convictions. I believe there is no better service than if a Pakistani works in India the right way and does great things. As an artist, you get global exposure. If I had done anything embarrassing for my people, it would have made more sense. I have had the longest run in Bollywood. I spent six years there and completed seven films. I saw my son Azaan grow up on Skype and I missed so much of family time, just because I was pursuing my passion. I really thought that India and Pakistan’s relationship would help both countries. It can only work through people-to-people contact. If you and I are sitting together, there is a lot I will give you and you will give back to me. There are many misconceptions created by the media and some want hatred to prevail. The only answer to this is love, so keep loving. Out of all the Bollywood films you have done, which one was the most fun to work on? One of the best times of my life was working on Mere Brother Ki Dulhan. Tere Bin Laden will always be special because it was my first film, but the team of Mere Brother Ki Dulhan gelled in so well. We played cricket together, and taught some to Katrina Kaif as well. I was lucky to work with lovely producers like Goldie Behl in London, Paris, New York, David Dhawan in Chashme Baddoor, Shaad Ali in Kill Dil and Neeraj Pandey in Total Siyapaa. I have a great relationship with Yash Raj and Shaad. I remember the Uri attacks took place after filming my scenes for Dear Zindagi. Because of this reason, it was decided that Pakistani actors could not be in the film and they would have to replace me in it. They shot the entire portion with another actor, but the director took a stand and my part remains in the film. This is all because of the respect and relationships you have. You have to earn it. It is only possible if you spend a certain amount of time every single day. If my fans stand with me today, it is because they have seen something in me for years. I am not saying that I am able or good enough, but you cannot fake it or order others to respect you or believe in you. You have to earn respect for yourself and there is a process for it. Which character do you aspire to play in the future that you have not portrayed yet? A negative character; it should be something that is completely unexpected from me, as Heath Ledger managed to do with the Joker. It must be challenging for me. To be honest, it is easy to read good lines in a script, which is a simple method of acting in Pakistan. We don’t create characters that are offbeat, so a negative character would be fun to play. I did a bit of it in Teefa in Trouble; I had to do it in one take only for each character. Is there any rule that applies to your fans when you meet them? When it comes to us, we don’t keep any rules (laughs). Everyone has different ways of expressing love and affection. Some want to hug you, while others want to take a selfie with you or talk to you. Yes, there is a certain limit, and as long as you are not hurting me, it is fine. I have had many fans who have expressed themselves differently. Some have threatened to kill me or themselves. In this area, it is very hard to explain to a normal person what we have to face at times. According to you, what is the key for a lifelong and successful marriage? Understanding – I say understanding because you need to understand that the other person is a completely different human being with a different gender, emotional construct, set of emotions and needs. You need to understand where the other person is coming from. One has to get rid of his ego for this reason. If you can conquer your ego, you can conquer the world. What happens is, when you get rid of your ego, you think I am nothing, but the other person is everything. With that emotion you say, ‘what can I do for you?’ and you end up doing it for that person. By the nature of this construct, the other individual is bound to give back. When you say ‘I’, it becomes problematic. When you say ‘we’, things get better. When I decided to get married, the one quality I wanted in my partner was kindness. I am lucky because my wife is an extremely kind person and I want that quality to be passed on to my children. I hope she has chosen me for the same reason as well. A woman can either destroy you or make you. So you have to pick a kind-hearted partner. Who has been your core strength in the face of adversity? I would say my family. Looking back on your career, what to this day keeps you on your toes? Self-analysis – you detach yourself from self-absorption, which essentially means that I am everything, and there is no one like me. This happens to almost every star. When you have thousands of fans screaming for you, the stage is set to make you think that you are invincible. But no, you have to think that I am one of those thousands of people who have risen, fallen and died in their prime. You must pursue self-awareness, that gives you an idea that you are a third person incarnated in a human body. You have done something but you can do better. If you are angry, alter the emotion and be productive and responsive in a specific way. The process of self-awareness comes through learning; learning about yourself and the human mind and body. You are a divine creation. You can create, think and change the world every single day and you better be on top of your game. I would say, don’t waste your time and energy in worthless actions. You should elevate yourself to a beautiful place that is worthy of being called a human being. I was awestruck by Zafar’s humility and kindness when I met and interviewed him in Islamabad. He treats everyone with respect, which is a rare quality in a star of his calibre. He has earned the stature of an international superstar, as his fans in neighbouring India and across the world revere him as much as we do in Pakistan. Zafar is currently working on a new project, which will hopefully be announced soon.